Have you been searching for a bargain on the Lexmark XM1145 copier for your business? Great, then you are in the right place! Arizona Copier combines all of the best Lexmark high-quality copiers with excellent customer service to provide an unparalleled purchase experience. Whether you are interested in buying, renting, or leasing, our locally owned and experienced company is guaranteed to find you the most cost-effective solution in our Valley of the Sun service area. We are positive that you will never find a company that can match our superior proficiency, commitment, and stock-full inventory. Therefore, it is in your best interest to call us today at 602-428-5885 to learn more about our services and receive your discounted quote price. With the powerful print speeds and intelligent time-saving features of the Lexmark XM1145, your business will experience fully efficient and productive workdays. The Lexmark model boasts tremendously fast printing and copying speeds of 43 pages per minute in monochrome. Optimize your workflow capabilities with its rapid scanning in monochrome and color, as well as flexible scan destinations and formats for optimal usage. Input options also enable users to load up to 3,200 sheets at a time for seamless production. In order to reduce your business’ paper consumption, take advantage of the duplex printing, print and hold, multi-up, and recycled paper mode features to save your business money. The printer is also Energy Star compliant to reduce power consumption and save big on monthly electric bills. Since one size never fits all, Lexmark offers more versatility with customized solutions to perfectly fit your business. The innovative touch screen user interface is customizable for simple one-touch operation. With MyMFP, all of your employees can personalize their screen with all of the functions they use most for shortcuts to efficient printer time. When you purchase this Lexmark model from Arizona Copier, your business will equipped with state of the art security features that will protect your valuable data from theft. Secure data encryption, disk wiping, and industry-leading access restrictions allows you to enable or disable functions easily. Protect your private or sensitive business information by proactively tracking and identifying security risks right on the user-friendly control panel. Get Your Own Lexmark XM1145 Today! Arizona Copiers has the best selection of high-quality Lexmark models at marked down prices in the entire state of Arizona. Our qualified and experienced professional staff will be able to find you the best configurations and customizations to exceed all of your business’ needs. At Arizona Copier, we are more than just a company that sells and leases copiers. We are committed to customer satisfaction and dedicated to fast delivery in perfect working condition. When you choose to purchase a copier with our company, you join a long-lasting network that will provide all supplies and repair services at low costs in the future. Our friendly representatives are waiting for your call to help you get started today! 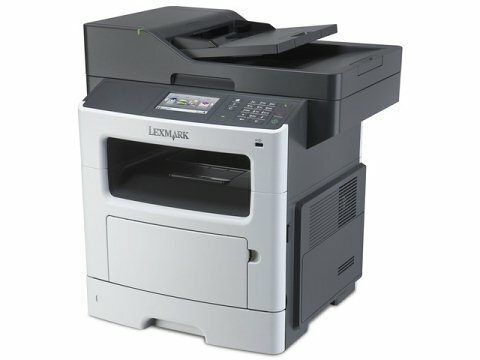 Please call 602-428-5885 today to get your hands on the Lexmark XM1145 and watch your business reap the benefits.